Enjoy nearly 20 acres of wildlife and privacy in your backyard! This home is great for the auto enthusiast or someone who would appreciate a 4 car garage with a heater, a separate storage shed and an additional garage/shed for additional toys! 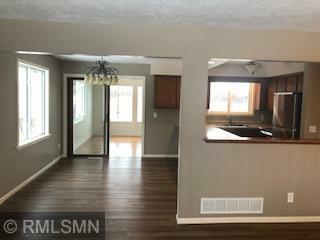 This home has been well cared for and has had several updates made over the years. Enjoy the 4 season porch looking out to wetlands or the heated/AC office in the garage. Right off hwy 47, this could be a great location for the right business person!